More swearing. More violence. More Zoey’s Fighters. Zoey’s adjusting quickly to having players back in the game alongside her, but that doesn’t mean the world of Thren is any easier of a place to live, especially with midnight looming overhead. 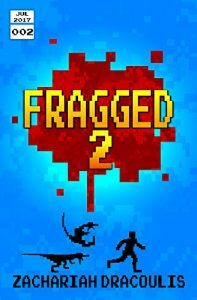 In this, the second chapter of the Fragged series, Zoey starts to trust her friends again with everything from simple resource collecting to planning a high-stakes mid-morning scheme.